Henry Cavill News: 'Man of Steel' 2 Production Designer Calls Delay "A Blessing," CostumesTo Be Revealed? 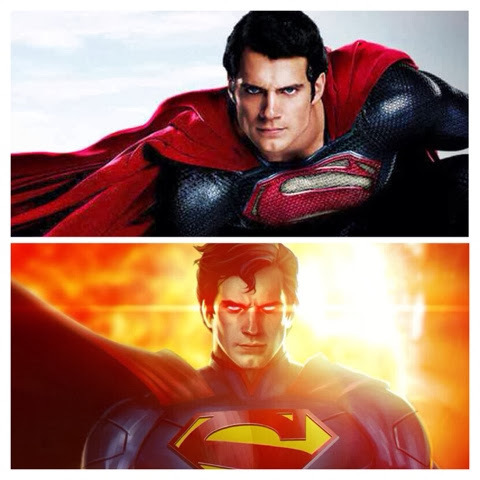 'Man of Steel' 2 Production Designer Calls Delay "A Blessing," CostumesTo Be Revealed? We're flying high, because it's been an exciting Tuesday to say the least.. Okay, fans, get ready, a bat-suit & WW reveal seems to be imminent, as in possibly days away! Mark over at Batman on Film dropped that bit of info today, adding that he hears we may get a peek at the costumes (and yes, that may include the updated Man of Steel one) in the next 10 to 12 days. With production on Man of Steel 2 set to begin reportedly sometime in March, the thought is the studio wants to jump ahead of potential leaked images or blurry on location pics. We shall see. In the meantime, if you live in L.A. here's a cool treat for you. Starting today you can see some of the Man of Steel costumes up close and for free. 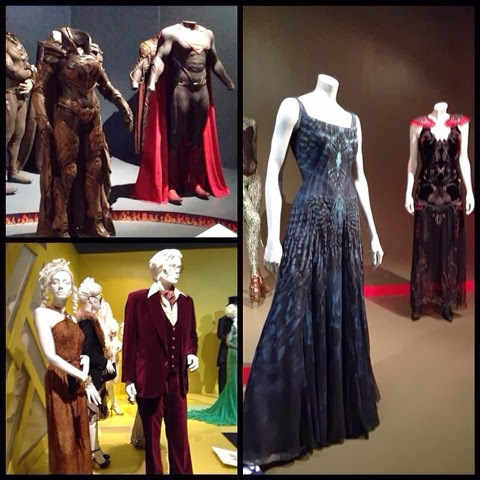 They are on display as part of the annual Art of Motion Picture Costume Design Exhibition at the Fashion Institute of Design & Merchandising. The Washington Post has a nice write-up on the exhibit, with quotes from costume designer Michael Wilkinson. Check it out. The exhibit runs through April 26th. Tatopoulos went on to talk about why he didn't hesitate to join the project and more. Read the rest. As you can see even with a delay, things are busy in Detroit. We'll stay on top of the latest for you. Finally next time you choose an Avatar when you're playing a video game, you may want to be the good guy/girl. That's because a new study finds your pretend self, may carry over to your real self. We say just play it safe, be the Man of Steel. If the report is correct, it would fit the timeline and what can top that size of an audience. Wilkinson will be there thanks to his nom, and it would be interesting to see how they would handle it. Maybe.. would think WB would rather put it out as a stand-alone reveal. We'll see.